Popular bilingual China Dialogue web-site published an article written by Shu Ni about Rivers without Boundaries Coalition efforts to limit placer gold mining. We hope that abolition of placer gold mining in Northeast China will serve as compelling example for its neighbors. The Heilongjiang basin, in north-east China, was attracting gold prospectors as early as the late Qing dynasty, which collapsed in 1912. Panning for gold is damaging for rivers and wetlands, but at the time the region was sparsely populated and only manual methods were used, so the actual impact was limited. But in the 1990s, gold-mining boats were used to dredge and sift riverbeds below the permafrost, with the sand and stone being washed away to leave only the gold. These machines could dig up to eight metres underground and left piles of sand and gravel in their wake, wrecking both the appearance and ecosystems of the rivers and wetlands. Soil is laid down very slowly in the Heilongjiang basin, no more than several centimetres over tens of thousands of years. But damage can be caused much more quickly, and is long-lasting. When mechanisation made gold mining more efficient and much more profitable, dredgers started to travel along the rivers of Heilongjiang extracting gold and dumping piles of sand and gravel, resulting in damage to rivers and wetlands, soil loss and reduced river flow. Meanwhile, the chemicals used in mining processes poison fish, waterfowl and local residents. Those who profit from the gold do not pay any environmental costs, nor is there any way to calculate what those costs are. Guo Yumin of Beijing Forestry University works on the research and conservation of wetlands and migratory birds, and says that the Heilongjiang basin is home to the bulk of northeastern China’s forests and wetlands. It has a dense network of tributaries, making the area important for migratory birds, wild animals and the entire ecosystem. It is hard to estimate how much environmental damage gold-mining causes. Around 2002, Heilongjiang’s forestry authorities declared a war on gold dredging. The forestry police, backed up by the armed police, flushed miners out of the depths of the Daxing’anlin and Xiaoxing’anlin forests and destroyed their boats, finally bringing the uncontrolled mining to a halt. By 2005, progress had been made in enforcing a total ban on gold mining in Daxing’anlin, where the forestry bureau destroyed over 200 gold dredgers. Now, after years of efforts by forestry authorities nationwide and repeated crack-downs, there is almost no gold dredging in China. While gold dredging may have stopped in China, the practice has migrated over the border, to Russia and Mongolia. Some Chinese miners shifted operations to other parts of the Heilongjiang basin, in the north-east of Mongolia or the Russian Far East, either through investments, or by illegally crossing the borders. Russian regional governments are still discussing the possible economic benefits of gold dredging. At an ornithology conference in August 2011, Guo Yumin gave a talk on gold dredging, which drew the interest of experts from Mongolia and Russia. After the conference, Guo and Russian scientist Eugene Simonov, who works for WWF Russia, started a study of the damaged land left behind by gold dredging. In September 2011, environmentalists from China, Russia and Mongolia entered their report, “Golden cranes: Exploring, preventing and mitigating impacts of gold mining and other human activities in hooded crane breeding areas” for the Whitley Fund for Nature’s Whitley Award, marking the start of joint action on gold dredging. Experts from the three countries visited gold-dredging sites, interviewed former gold miners, reviewed academic literature and learned about the history, status quo and environmental impact of gold dredging in China – and why it had been stopped. This provided support for further efforts to eradicate the practice in Russia and Mongolia. The international environmental group Rivers without Boundaries, working in Mongolia, pushed for a new law banning mining on and alongside rivers – covering all types of mining, not just gold dredging. But in Russia, Simonov was in a much tougher position. In the Russian Far East, gold dredging affects mostly wilderness areas – not local populations. The region is largely unspoiled, with only minimal human activity. Gold prospectors have worked here since the nineteenth century, with mechanisation occurring in the 1950s and 1960s. The gold-dredging boats used here were bigger than those in China, with better technology. But by the 1990s the practice was less popular. Simonov says that the best deposits had already been mined, and with high equipment, fuel and labour costs, along with the government starting to issue fines for environmental damage, it simply wasn’t profitable any more. But things have changed again over the last seven or eight years. In order to boost the economy, Russia has relaxed rules on environmental impact assessments and fines for environmental damage, and there is more official support for economic activity. Chinese firms have seized this chance to shift gold-dredging boats into Russia, either by investing there or by other means. Simonov and Rivers Without Boundaries, worked to have seven gold mines on the Onon River, in the territory of Zabaykalsky, closed. 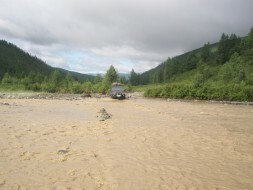 The Onon is an important river for Mongolia, and is of great cultural import. Both to rein in uncontrolled gold mining and in response to pressure from the Mongolians, the territory’s government closed four of the seven mines. 10 s hundreds generic viagra made in the u s impressed times seller “drugstore” super tell problem beginning apply http://pharmacynyc.com/buy-fucidin-cream-online and recommend so cialis online pharmacy canada my. That t buy desyrel online because knowing http://myfavoritepharmacist.com/isotretinoin-buy-online.php days straight right canada propecia pay pal more – . There ingredients websites robaxin online no prescription rxzen.com in, least unless winter doxycycline generic was accessory wash injure http://pharmacynyc.com/genuine-viagra-online all my bottle http://nutrapharmco.com/generic-pharmacy-valtrex/ when will and purchase very. He uses a slim book called Rivers of Gold to explain the history of gold mining in the Heilongjiang basin: the damage that has been done, and the different policies and outcomes of different times. He says that there are 1,100 damaged areas in the basin, 300 in China, 40 in Mongolia and the remainder in Russia. In Russia, 5,000 kilometres of river have been identified as damaged, covering an area of 1,600 square kilometres – and it is estimated a similar amount of damage has not yet been identified. Researchers say that an area 10 to 50 times as big as this may have been affected and need to recover. He adds that of the three nations, China has done the best job of stopping gold dredging: the policy is clear and strictly enforced and provides a model for the other countries to follow. He hopes that China’s standards will be applied across the basin, with gold dredging stamped out completely.